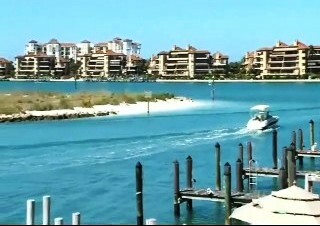 COLLIER COUNTY, FL - Controversy continues in Collier County over plans to reconstruct a seawall. 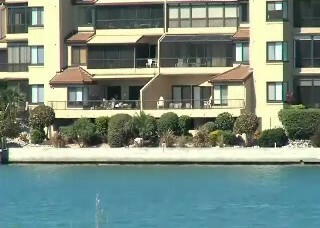 Some residents at La Peninsula community on Isles of Capri want to be taxed to foot the estimated four million dollar bill - but county commissioners may not be able to grant them approval. Commissioners are questioning whether or not the La Peninsula seawall serves a public, primary purpose in Collier County-- something that would allow them to grant the community's HOA approval to pay for the seawall project. Residents there have ability to tax themselves - they're part of what's called an MSBU - Municipal Service Benefit Union. They can pay one set amount at the beginning of the year if commissioners give them approval. If so, the clerk of court would apply for a loan that the county would borrow -- residents would then pay an equal amount of money once a year to pay back the loan. How much repairs would cost and what the seawall exactly needs hasn't been ironed out by engineers just yet -- something some residents have concerns about. But Chairman Tom Henning says either way, it's against Florida constitution for commissioners to approve the project since it's aid for a private community. "The county attorney for board of commissioners has stated on the record that this has never been done in state of Florida," Chairman Tom Henning, Collier County Board of Commissioners. Other commissioners say it's been done before, specifically with private beaches and renourishment, which is why it shouldn't be a problem for La Peninsula. "They've stated it is against the law and it's taxpayers will suffer and none of that is the truth," Commissioner Donna Fiala, Collier County Board of Commissioners. Commissioner Henning made a motion for the county attorney to write a question to Florida attorney general - on whether or not it's lawful for commissioners to grant the community approval. If approved, once they get a response from the attorney general's office -- the item would be placed back on a future agenda.